If you have a sweet tooth, you may want to think twice before you pick up your next donut. A new study says that sugar is “toxic,” leading to metabolic diseases such as high blood pressure and heart disease – even if no weight is gained. The research – conducted by pediatric endocrinologist Robert Lustig at UCSF Benioff Children’s Hospital in San Francisco, and Jean-Marc Schwarz of the College of Osteopathic Medicine at Touro University California – examined 43 obese children who had high blood pressure, unhealthy cholesterol levels, or signs of too much fat in their livers. The children were between the ages of nine and 18. The children were put on a restricted diet which eliminated added sugar from sodas, sweet, and other foods. Sugar intake was reduced from about 28 percent of total calories to about 10 percent. Fructose – a form of sugar believed to be particularly bad for health – was reduced from 12 percent to four percent of total calories. Sugary foods were then replaced with starchier alternatives, such as hot dogs, potato chips, and pizza. “This ‘child-friendly’ study diet included various no- or low-sugar added processed foods including turkey hot dogs, pizza, bean burritos, baked potato chips, and popcorn that were purchased at local supermarkets,” the study authors wrote. Each child’s caloric intake closely resembled the amount they ate before the study began. However, the children reported feeling less hungry with the new diet. “They told us it felt like so much more food, even though they were consuming the same number of calories as before, just with significantly less sugar. Some said we were overwhelming them with food,” Schwarz said. After weighing themselves daily as part of the study’s requirements, one-third of the children said they could not eat enough food to stop losing weight. The children lost an average of nearly two pounds in just nine days. “I have never seen results as striking or significant in our human studies; after only nine days of fructose restriction, the results are dramatic and consistent from subject to subject,” Schwarz added. Blood pressure went down by an average of five points. The triglyceride measurement of cholesterol fell by 33 points, and low-density lipoprotein (LDL, also known as “bad” cholesterol) fell by 10 points. Blood sugar and insulin levels also fell. Glucose tolerance and the amount of excess insulin circulating in the blood improved. “Where those calories come from determines where in the body they go. Sugar calories are the worst, because they turn to fat in the liver, driving insulin resistance, and driving risk for diabetes, heart and liver disease,” he said. The study was published in the journal Obesity on Monday. The researchers noted that further examination is needed to determine whether the short-term gains in health with low-sugar diets remain present in the longer term. Do You Put Butter In Your Coffee? Maybe You Should. For many, the morning cup of coffee is a can’t live without ritual. There are studies that show moderated daily coffee is healthy for you (some of that here). For me, it kind of makes me shaky. I drink it few and far between. That’s a personal thing, of course. However, when I do drink it, I always put butter in it. As weird as it sounds, it’s actually the best thing you can put in your coffee. When I get in line at Starbucks, I order a plain black coffee and ask them for a side of butter. They give me some pretty odd looks, but what I already know is that every Starbucks has butter packets on hand to go along with their oatmeal. And what’s more? It’s Kerrygold Irish butter. And that’s grass fed. So what health benefit would one get from this? Coffee can be a starting point for health, but it can also be an ending point just as easily. People order / make their coffee in all shapes and sizes. Some people add sugar laden creamers or hormone laced milk. While others might just add a little cinnamon. Those concoctions offer vastly different health profiles. Having just sugar and caffeine first thing in the morning sets up impending doom for the rest of your day. You are almost sure to crash out at some point, only to find yourself digging around for candy or a muffin. The first health benefit you get from putting only butter in your coffee is that you are leaving out the bad stuff. A huge part of a healthy lifestyle is what you don’t eat. The butter is a fat, which will also help blunt blood sugar spikes. Butter is almost a pure fat. That’s going to scare a lot of you, but really, it shouldn’t. Fat is good (mostly). 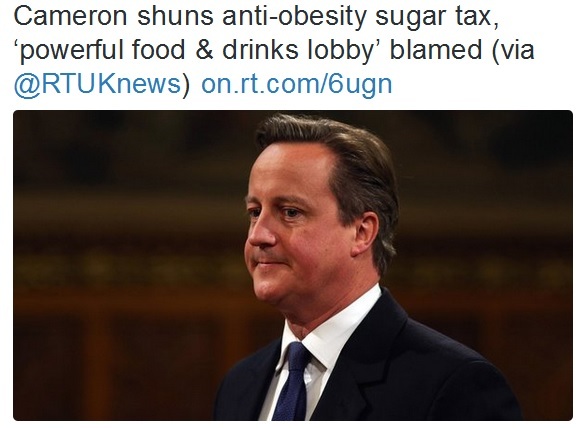 And the idea that fat is a villain has been almost entirely debunked at this juncture. Saturated fats can actually improve your blood lipid profile (here). Grass fed butter is loaded with Vitamin K. Wait, what? Vitamin K is awesome. And it’s sure great for the heart. There is K1 (phylloquinone), found in leafy greens, and Vitamin K2 (menaquinone), which is found in animal foods. Vitamin K2 is especially important because it helps keep calcium out of your arteries. So far, what do we have? Putting butter in your coffee means skipping garbage sugary or hormone laced concoctions. Your arteries are less likely to be subject to calcification. You reduce your risk of coronary heart disease (here). But hold up, its going to get better. Person drinking coffee with butter in it…..meet Butyrate. Butyrate is a fatty acid and it is anti-inflammatory. Inflammation is pretty much the cause of all evil in the body. When excessive inflammation lurks, so does bad healthy profiles. Butyrate is shown to lower inflammation (here). CLA (conjugated linoleic acid) is found in grass fed butter and it has been linked to reducing body fat mass. Yep, your old coffee was plumping you up, your new coffee is slimming you down! You can see a study here. But how gross does it taste? I get this question all the time. The answer is that it taste great. And no, I’m not just saying that. You have to stop thinking of it as butter, and start understanding that at the end of the day, it is just heavy cream. If you put butter and cinnamon in your coffee, it taste amazing. Now, again, we are talking grass fed butter here, not just any old butter. 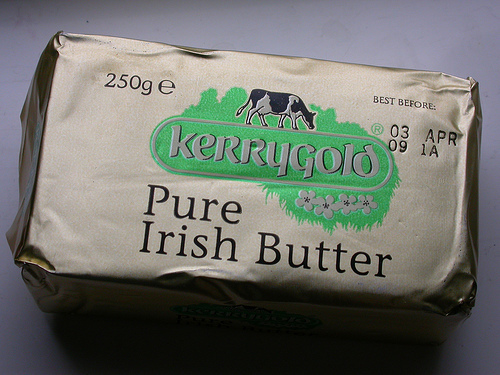 The most popular is Kerrygold butter, but if you have a store that sells local products you can likely find whatever suits you. The point in all of this? Your morning coffee can be a true health bomb!